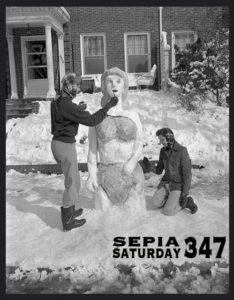 For this week’s Sepia Saturday, our prompt image featured two ladies building a snow-woman, so I thought for this week, it would be fun to share this photo of my husband’s father. 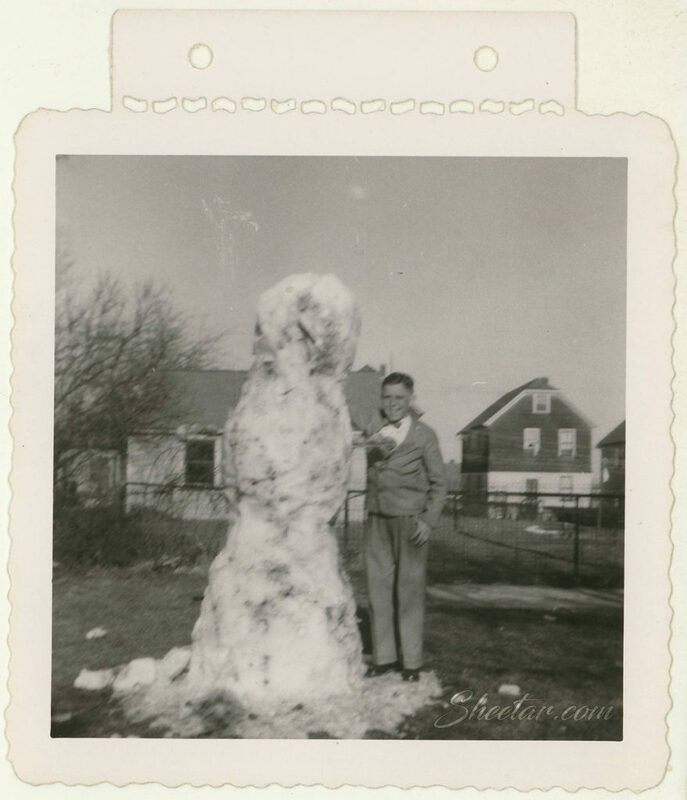 The back of the photo is labelled, “Henry & Girlfriend,” so a snow-woman it is! I have to guess this was taken about 1955 in northern New Jersey, and even though the snow has melted all over the grass around our snow-woman, she’s still standing tall which means she was probably an even larger snow-woman not too long before this photo was taken! It’s short and sweet this week, but this photo was just too good of a match to pass up! Late to the party as usual, but here I am for Sepia Saturday as we get back on track with weekly prompts! 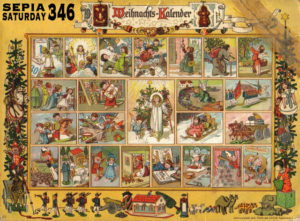 Our first week featured a holiday calendar from Germany and I really had nothing quite like it in my collection since I have mostly photos, but since it was meant for a holiday greeting for the month of December so I figured a photo meant for the same effect would work just as well! Above, we have Mary Victoria Creber, my 1st cousin 3x removed or my great grandmother’s first cousin. 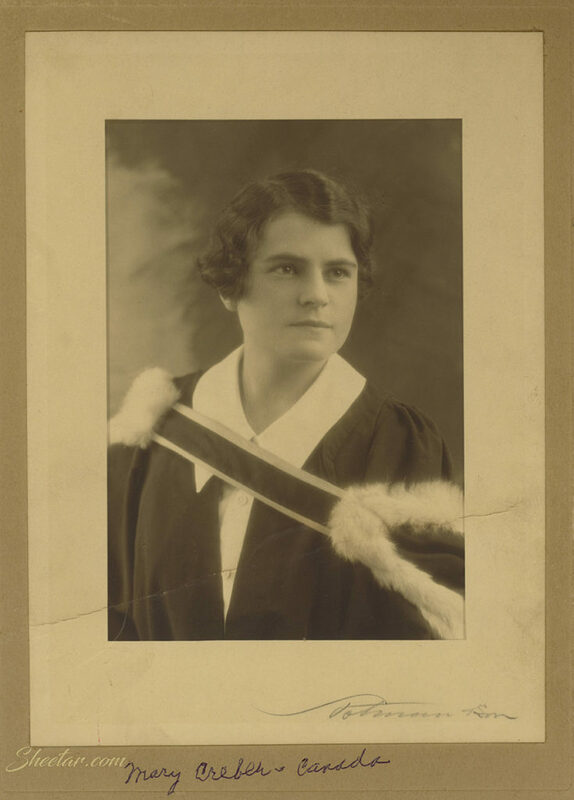 Mary Victoria was born 10 October 1907 in Plymouth, Devon, England and went to Canada with her mother and father in 1911. She married Alan George Armstrong in 1943 and passed away on 29 October 2001 in Victoria, British Columbia, Canada. I never met her, but she kept in touch with her aunt, my 2x great grandmother and sent lots of photos. At the bottom of the photo is my great grandmother’s handwriting indicative of her later years, so she went back and labelled this later on. 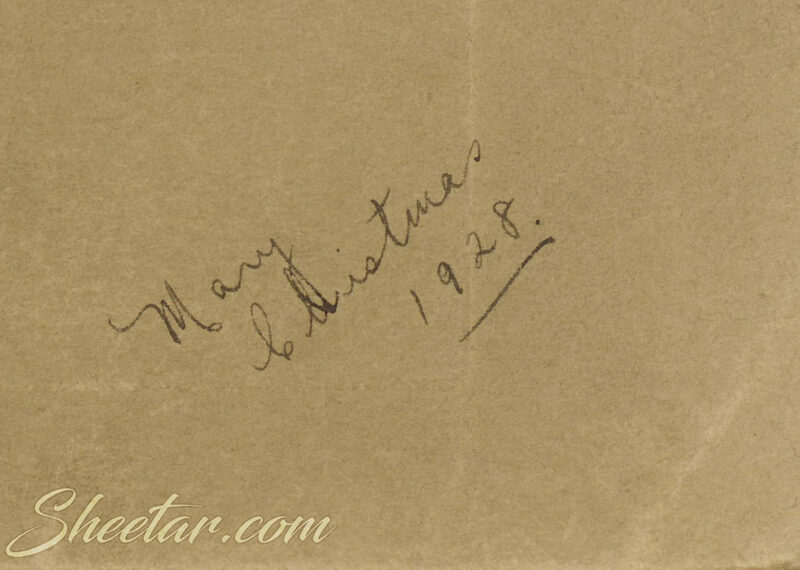 The back of the photo features this little greeting, so we know Mary was 21 when the photo was taken. She’s wearing some sort of fur lined cape in the photo and it looks rather wintery to me, so I thought it would work well enough with the theme. Looking forward to catching up and getting back on track for next (this) week! For our final week of the, “War and Peace,” Sepia Saturday theme, I thought I’d add in this great photo of Bouwe Jaarsma, my husband’s great-uncle (brother of his grandfather). I don’t know much about his military service since the record privacy blackout extends into his career, but I know he was described in a newspaper article as, “gepensioneerde militair,” or retired military, so he clearly made a lifelong career out of his military service, presumably in the army. Bouwe was born 7 Sep 1918 in Sint Nicolaasga in Friesland, Netherlands to parents Douwe Jaarsma and Pietertje de Boer, the 5th of six children. He married Baukje Zijlstra in 1946. We have photos taken more recently of a trip he and his wife made to the USA to visit his siblings that had left the Netherlands for the USA as well as a number of letters he wrote to his brother, so they clearly kept in touch dispite the distance. Bouwe passed away on 14 Oct 1992. 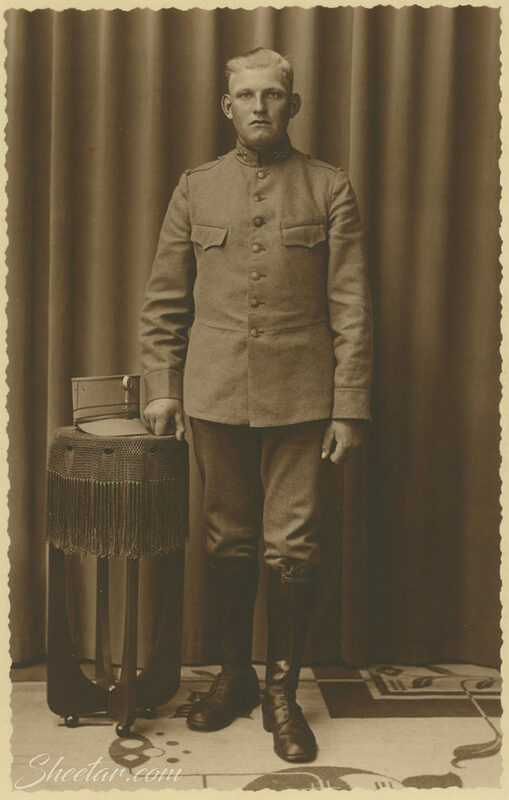 I don’t know too much about his life, but I do love this rather nicely posed photo of him as a young man, his cover resting on a fringed stand and his uniform pressed and perfect. 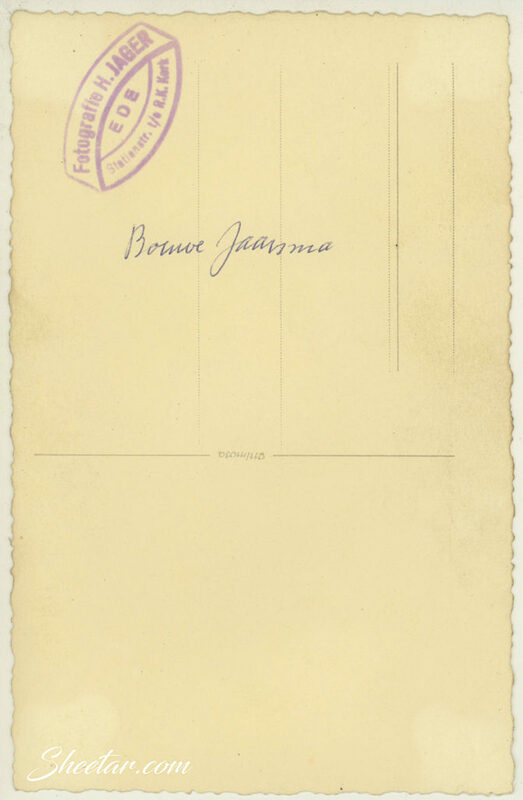 The back of the photo postcard has the photographer’s stamp for, “Fotografie H. Jager,” who had a studio in Ede on Stationsstraat near the Roman Catholic Church. It looks like the street was renamed Stationsweg (small change from “street” to “way”), but the church is still there. If I had to guess on a date for the photo, I’d say late 1930s, probably between 1938-1942 or so. For the third week of the, “War and Peace,” theme, we have a photo of a friend of my mother’s family, Robert James Zupon. He was born 20 March 1928 in PA and passed away on 2 December 2009 also in PA. My mom remembers the name though we had a bit of a time figuring out who the face belonged to! Once we finally got a name, the pieces fell into place. 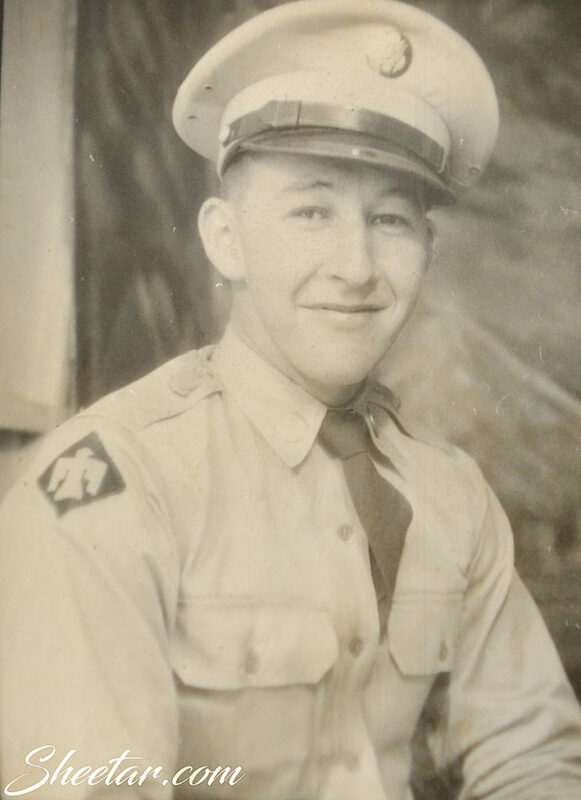 I didn’t find out much about his military career other than a Veterans Burial Card that noted he was in the Army during the Korean War, but here we have a photo of him in his uniform with a big smile on his face. Even though he’s not related by blood, he was enough a part of the lives of my ancestors that they saved a photo of him.